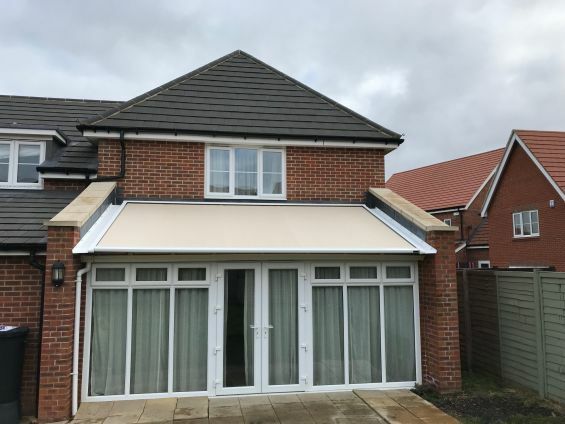 Glass roofs whether a lean to conservatory roof or skylight are relatively easy to install external blinds to, in fact, they are installed in the same timeframe as a patio awning. However, working above a glass roof has certain safety issues and puts many companies off who are worried about breaking the glass especially when fixing through the glazing bars. They therefore claim blinds cannot be installed externally on the roofs and recommend to go for interior blinds (which they offer) because it is simply easier for them, despite not being the right solution. They know what we are talking about and how to provide the solution you desire. This applies not just to external shading of course, but every industry. But as the only company dedicated to external shading in the UK, you’re guaranteed sound, honest, expert advice from us and most importantly the right solution for your application, expertly made and installed. If you're considering external shading for your glazing call the UK external shading experts on 0344 800 1947 or browse the vast array of information on this website.